Like many Scandinavian terms, the Danish word hygge (pronounced hoo-guh) cannot be boiled down to a simple translation, and because it means something a little different to each of us, it can be as difficult to describe as love. The essence of hygge is—like love—a feeling. It is a sense of coziness, contentment and well-being. It is enjoyment of the simple things in life; indulgence tempered by moderation; appreciation for what is artisanal, handmade, and rustic. It is respect for each other and our environment; the sharing of stories, history, and culture. It is comfort, connection, and community; friends and family; relaxation, hospitality, and gratitude. Think wool socks and sweaters, candlelight, sheared blankets, mulled wine and hot chocolate, coffee with friends, sitting by the fire, small gatherings with simple, wholesome foods, sharing a rich dessert or glass of cognac, being happy and content. For those seeking to become indoctrinated in the practice of hygge (or koselig, as the Norwegians call it), the St. Croix Valley is a good place to start. Largely settled by Scandinavian immigrants, the communities that surround the St. Croix Valley capture the spirit of hygge in all of its interpretations and with less than a 45-minute scenic drive from the Twin Cities, traveling can be kept pretty simple and hygge-esque. To help you embark on your quest for cozy, we’ve created five mix-and-match itineraries that highlight just a few of the many ways to hygge in the Valley. Dig right in to the indulgent side of hygge with a weekend of wine and shopping. Keep in mind that hygge principles focus on decadence and opulence only as a feeling, while casting aside items that are strictly material in nature. That’s why shopping in the St. Croix Valley fits the hygge experience so well. You’ll find shops that feature locally made wares, second-hand treasures, and merchandise that focuses on comfort and function over luxury and status. And when it comes time to wine, take a few moments to truly savor it. Picturesque main streets are lined with quaint family-owned shops that showcase hand crafted goods and provide services with a level of personal attention that can only be found in a small town. Uncover hidden gems at a local antique store, sample mouth-watering confections you’ve never tasted before, discover unique gifts and vintage clothing that your friends don’t already have. Chateau St. Croix Winery is modeled after a sprawling French estate complete with vineyard, carriage house, stables, formal gardens and suits of armor. It boasts 14 medal winners from national and international competitions in 2015- 2016, including local favorite Cheesehead White which comes topped with a foam cheese wedge. Surrounded by the hilly landscape of the St. Croix River Valley, Wild River Winery is a warm and cozy winter destination that has a firm grip on the concept of hygge. 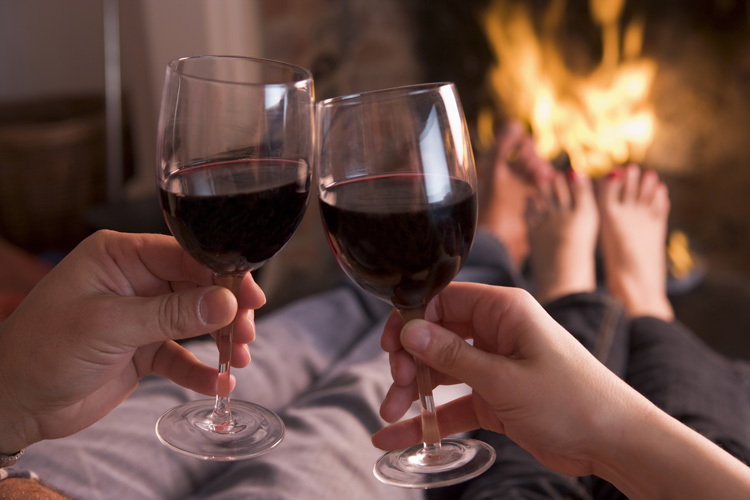 Lounge by the fire while sipping the gold medal MTN Ice wine and commune with like-minded individuals. Nestled in between three lakes, Winehaven’s 50-acre estate has produced wines that have won more than 200 awards over the past ten years. Among them is Stinger Honeywine made with local honey created under the careful management of their very own apiarist. Dancing Dragonfly offers a variety of paninis and flatbreads along with finger food snacks such as meat and cheese plates. On the weekends, the wood-fire oven is pressed into action for unique, handmade artisan pizzas, bruschetta and oven baked cheese. Top it all off with a Tango Sundae, featuring award-winning raspberry dessert wine. 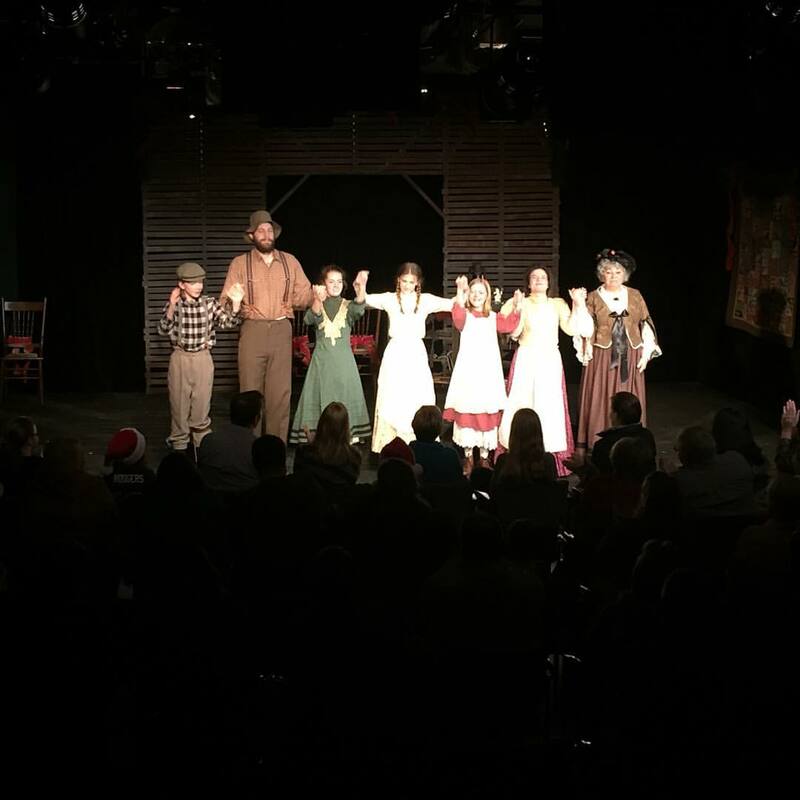 Festival Theatre performs "A Laura Ingalls Wilder Christmas". Photo courtesy of Festival Theatre. 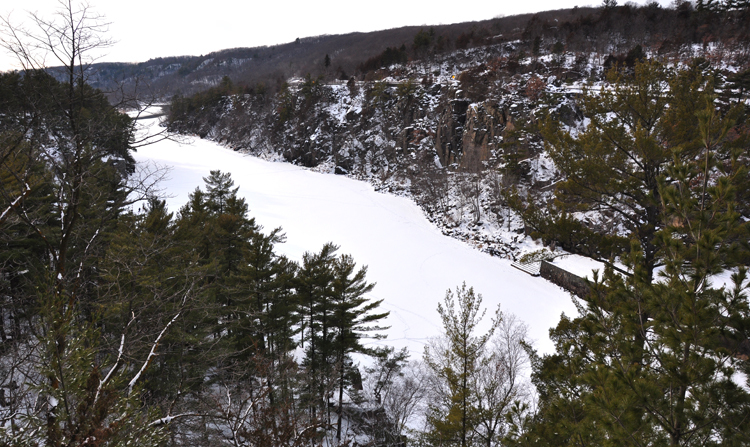 Rife with a rich history of Scandinavian settlers, lumbermen, railways and geology, the St. Croix Valley is a treasure trove for history buffs, scholars, and tourists. The culture of this close-knit community is one of the main reasons why hygge has such a strong presence in the area. Discover the true tales of the people and events that shaped this land and its impact on Wisconsin and Minnesota. Learn how the glaciers of the Ice Age carved some of the most impressive geology in the world, from the chiseled cliffs that line the banks of the mighty St. Croix to the swirling melt-waters that drilled some of the Earth’s deepest moraines. The endless acres of timber and the swift current of the St. Croix River called strongly to the lumbermen of the 1800s. The Folsom House, established in 1855, served as the home of one such lumber baron, W.H.C. Folsom, and five generations of his family. Guides tell the story of the architecture of the house, which includes original furnishings and belongings, as well as the history of the family and their influence on the development of the area and the state of Minnesota. 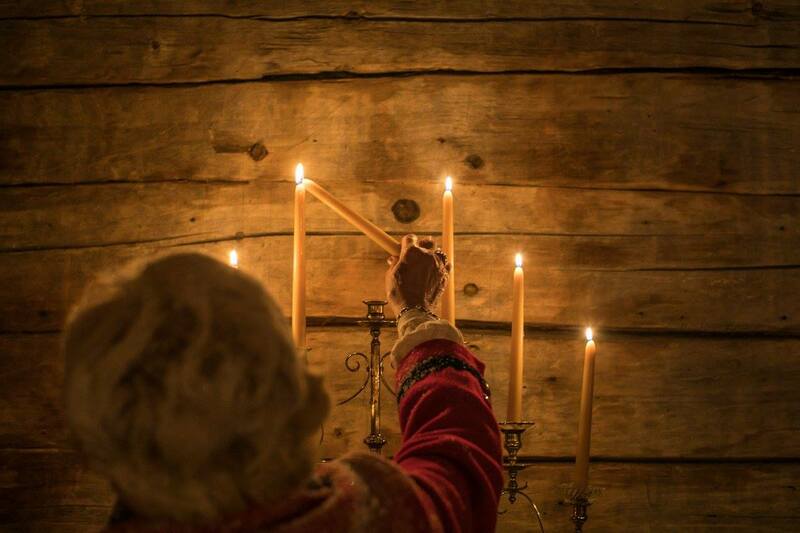 Although regular hours run spring through fall, Folsom House hosts special events throughout the winter including during the Taylors Falls Lighting Festival, a 3 day event that starts the Friday after Thanksgiving. Originally formed to transport grain and timber from mills along the river, the St. Croix Valley Railway now operates passenger rides on vintage trains from the historic 1916 SOO Line depot in Osceola, WI. Stops at depots along the way offer glimpses of railroad heritage in the area. Check their website to plan ahead for future events and purchase tickets! Arriving at Gammelgarden’s 11-acre site is like arriving in Minnesota in the early- to mid-1800s. The museum is comprised of several buildings on expansive grounds and provides a look at what daily life was like for the Swedish immigrants of the era. St. Croix Festival Theatre was formally founded in 1990 as a non-profit 501(c) (3) corporation to provide St. Croix Valley residents and visitors to this scenic region with highest quality of live professional theatre. In the years since, Festival Theatre has produced more than 100 plays for more than 200,000 St. Croix Valley residents and visitors. The Civic Auditorim, the 100-year-old building that Festival Theatre called home for many years is on both the Wisconsin and National Registers of Historic Places. Initially intended as a live performance theatre when the auditorium was built in 1917, it would remain unable to fulfill its purpose until 73 years later in 1990. The original dream of the citizens of St. Croix Falls is now realized with a regular performance schedule. While the building is going through renovations, theater performances will take place across the street in the cozy Franklin Square Black Box and at event venues throughout the area. What was once a humble dairy barn is now, over 100 years later, an art gallery and performance theatre. The 180-seat theatre hosts productions that are often both performed and written by members of the local community. Gustaf's Eatery is located in Lindström, MN, inside an iconic red brick house that is listed on the National Register of Historic Places. They are known for farm-to-table fresh food featuring hearty and healthy sandwiches, soups, and breakfast items that will satisfy your appetite, and your taste buds! 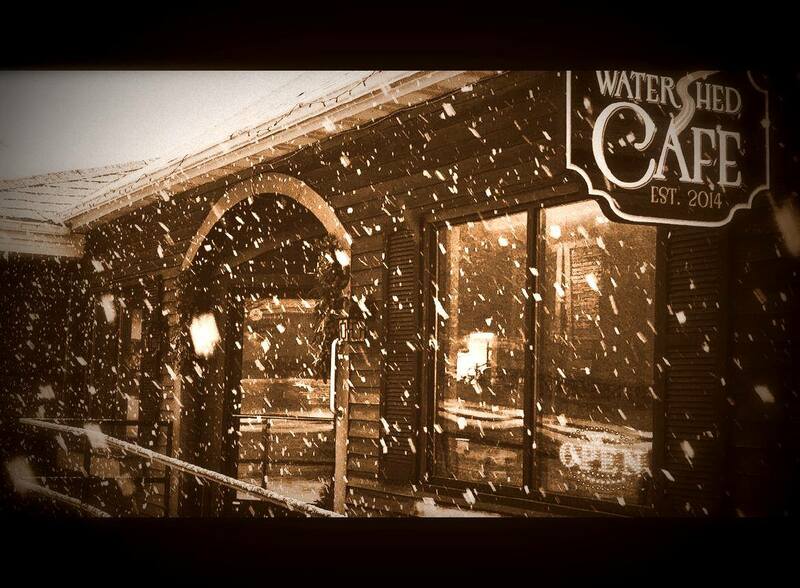 Watch the snow and ice fall from inside the warm, cozy Watershed Cafe. Photo courtesy of Watershed Cafe. 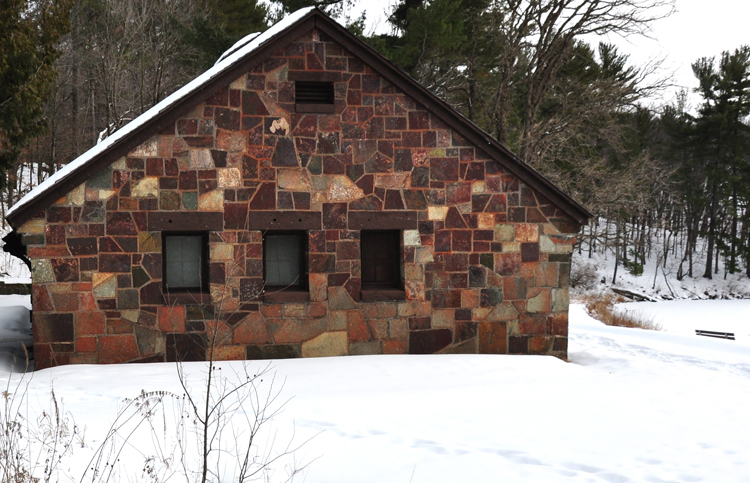 The Watershed Café in Osceola, WI overlooks Cascade Falls on the very spot where the office of the Osceola sawmill once stood during the great logging boom along the St. Croix Watershed. Inside the renovated stone and wood building is a hygge hideaway that features locally sourced farm-to-table café cuisine including made-from-scratch breakfast, pastries, soups, salads, and sandwiches with premium meats and cheeses. Relax in front of the stone fireplace with a hot beverage or glass of wine and enjoy the local art that adorns the walls and the history that surrounds you. Art is deeply rooted in the hygge experience. It is uncomplicated, life made simple, a capturing of one moment in this vast world. It will stir up your soul, then put it right back at ease. It is beautiful and gracious and inviting, even when it’s a little dark. It connects us with history and culture and reminds us that for all our differences, we are much the same. It is satisfying to create art and incredibly comforting to know it exists. Gear up and enjoy a walk through 43 acres of outdoor, large-scale sculptures that have been created in the open air by one of 40 resident artists that live on site each year. Join Minnesota artists for the annual Hot Metal Pour. 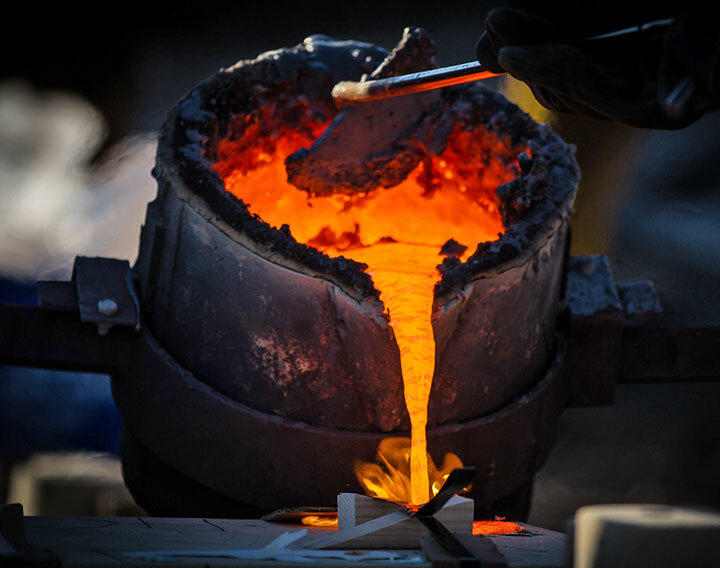 This free outdoor event combines fire and ice as experienced artists pour molten iron into prepared molds. The Hot Metal Pour is an annual event at Franconia Sculpture Park. The Up North Gallery showcases the finest Upper Midwestern regional art in oils, watercolors, mixed media, photography, hand-pulled prints, sculpture, pottery, glass, wood, and jewelry. In addition to the gallery, Gustaf’s also offers professional, custom framing. This diverse collection of Scandinavian art and gifts features works from Sweden, Denmark, Norway and Finland. A glimpse at Northern European culture is evidenced through themes such as home décor, Danish iron, kitchenware, books, ornaments, Dala clogs, Dala horses and more. Local couple Meg Luhrs and Leif Bjornson opened their gallery in an 1850s granary that they renovated themselves into a hygge-istic showplace and shop complete with wood stove, sitting area and river overlook. Bjornson can often be seen spinning pottery by the front window while Luhrs’s paintings look on from the walls. Artist Wally Schoop employs a 6,000-year-old bronze casting technique to create works of art inspired by nature. In addition to eagles, Remington bronze statues and western art, Shoop’s American Bronze Casting also creates custom trophies, plaques and awards, architectural accents, and bronze restoration. After finding inspiration at local galleries, artists can get to work on their own creations at The Trails Retreat. Situated on a rustic, secluded 2.7-acre wooded lot in St. Croix Falls, Wisconsin, the retreat features a spacious art studio that can accommodate up to eighteen people. The retreat also sleeps eighteen and includes a fully-equipped kitchen and three bathrooms. Located directly above Pins ‘n’ Needles Quilt Shop in the heart of St. Croix Falls, Wisconsin, the Lamb’s Inn and Ewe Come Inn Retreat Centers provide an ideal set-up for quilters, but can accommodate small groups with other artistic inclinations as well. Each apartment contains a fully-equipped kitchen. Lamb’s Inn sleeps six while Ewe Come Inn can host eight. With both a dining room and lounge area at the Dalles House, patrons can choose between casual fare and a good old-fashioned Wisconsin supper club experience. Artists will appreciate the beauty of the indoor water feature and marvel at the Art-Deco interior design. It may seem contrary to hygge to get out and exercise in the snow, but Scandinavians have an adage—or rather a shared attitude—that there is no such thing as bad weather, only bad clothes. 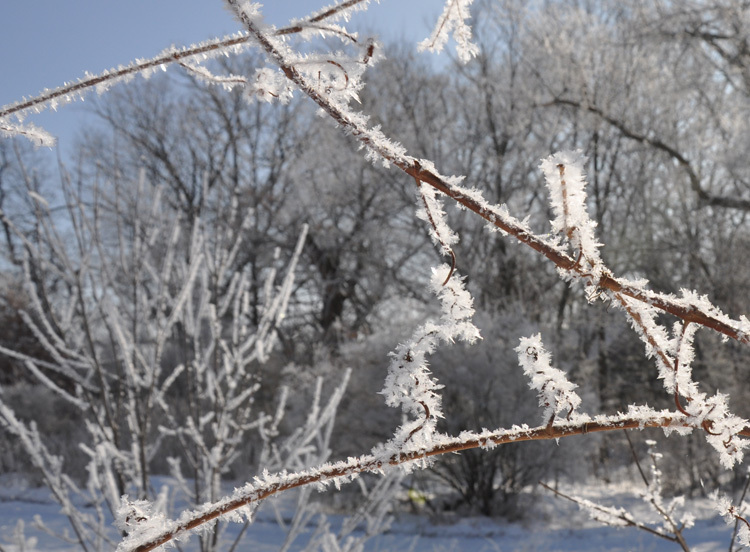 Winter is not to be endured, but embraced and enjoyed. After all, hygge is not just an excuse to sit around on the couch and veg out in front of the TV. A healthy, well-rounded lifestyle is critical to one’s well-being, and one’s well-being is the focal point of hygge. Known as the City of Trails, St. Croix Falls, Wisconsin and the surrounding area feature an extensive network of pathways designated for all types of usage and ability levels. 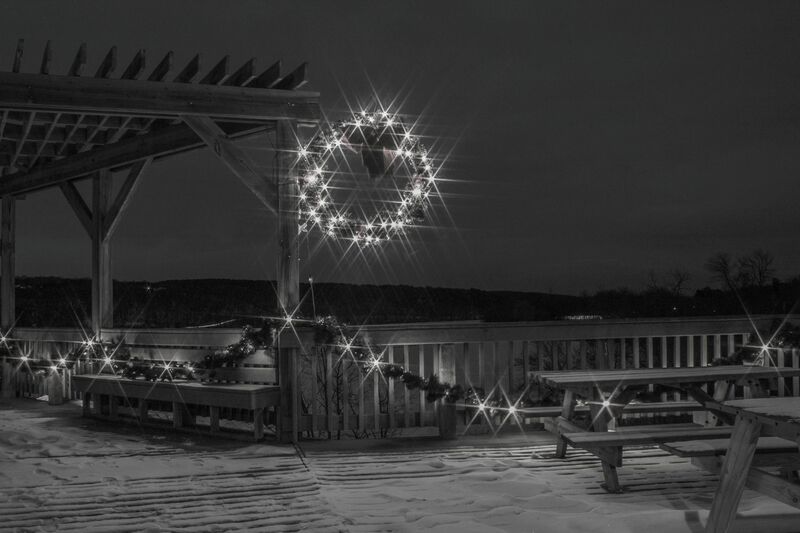 Hike, snowshoe or cross country ski through these peaceful realms while the sun is shining or select the ambiance of a lighted loop and twinkling stars. 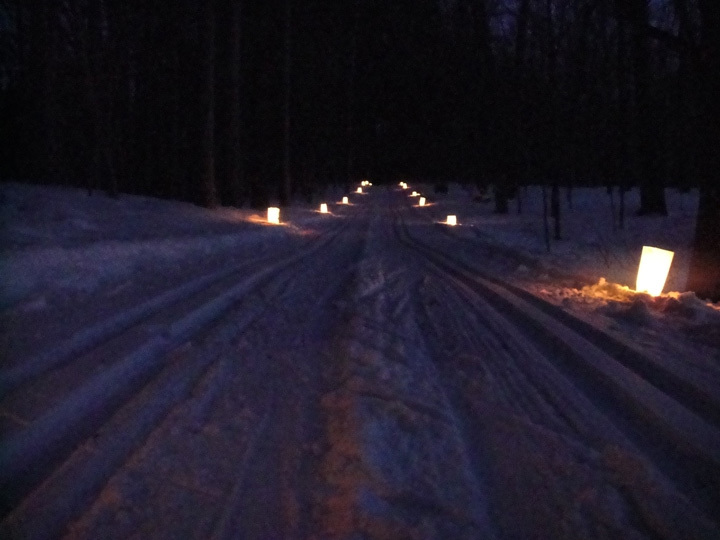 Watch for the annual candlelight hike and ski events in late January and early February. 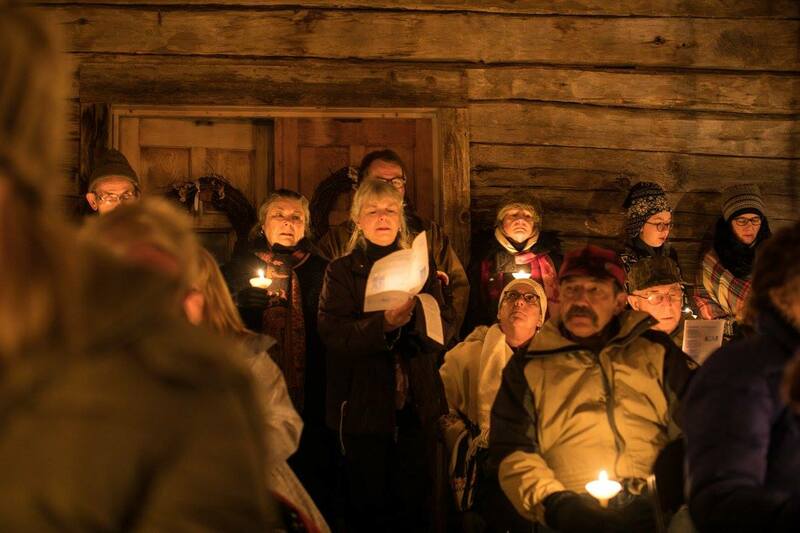 These events are so hygge, they are like a slice of life plucked straight out of Northern Europe and dropped directly into the St. Croix Valley. 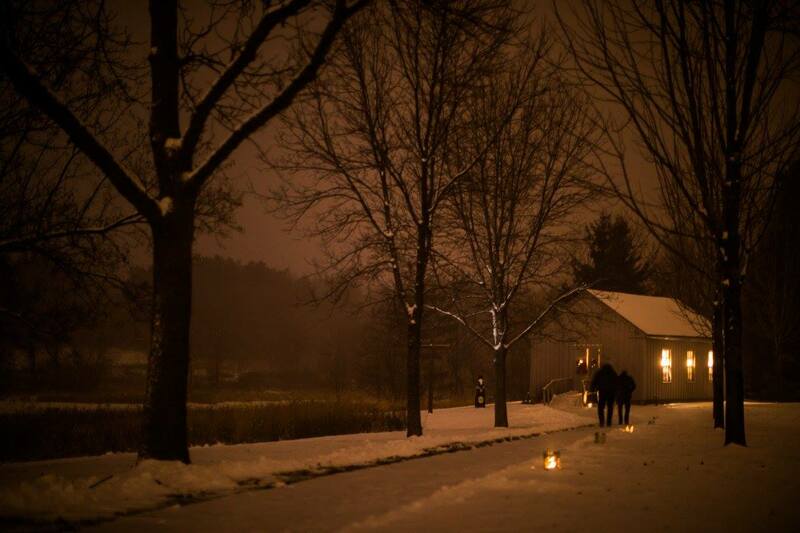 Trails are lined with flickering candles which cast a magical glow on the surrounding forest. Each event ends with toasty beverages and comradery around the bonfire. Night hikes lit with luminaries. © Frank Lundeen. After a long day (or night) of moving muscles out in the snow, a spa appointment hits the spot and brings hygge into full effect. The St. Croix Valley offers the royal treatment when it comes to relaxation and pampering. Full body massages and more can be enjoyed in an array of environments from professional medical centers to traditional salon/spas to a historic Victorian house or charming cottage. Wind your day down with a Scandinavian sauna experience and refreshing dip in an indoor pool. Both the Holiday Inn Express and the Dalles House Motel have saunas and heated pools on site so you can embrace the coziness of the indoors while the wind howls and snow flies outside. Climb into bed and treat yourself to a restful night of sleep. Tangled Up in Blue brings fine dining to Taylors Falls, Minnesota, with an atmosphere suitable to a romantic dinner for two or an intimate group of friends. 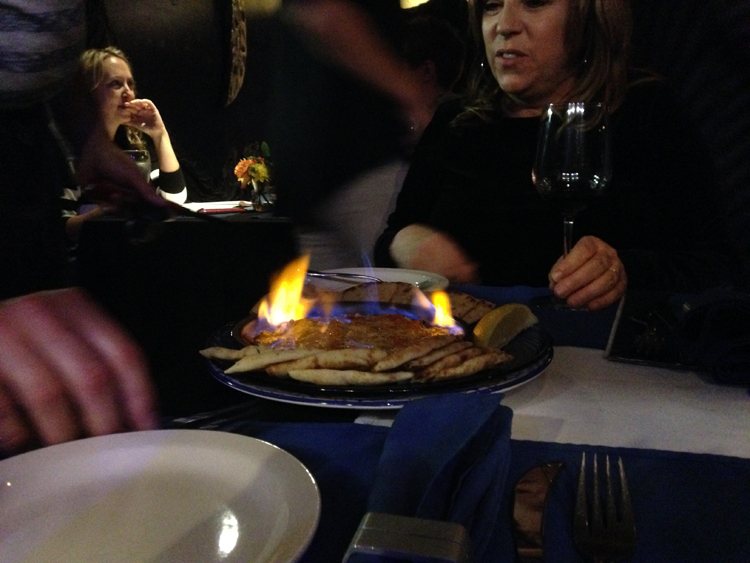 Fresh fish, seafood, and hand-cut beef filets with creative spices and sauces both indulge and delight the senses while providing a strong base of fuel for warmth and longevity in the snow. Now that you’re familiar with hygge, bring on the blizzards and let the storms rage on. Find places to sleep and eat that will satisfy your creature comforts so you can venture out and then settle down in your own cozy nook. 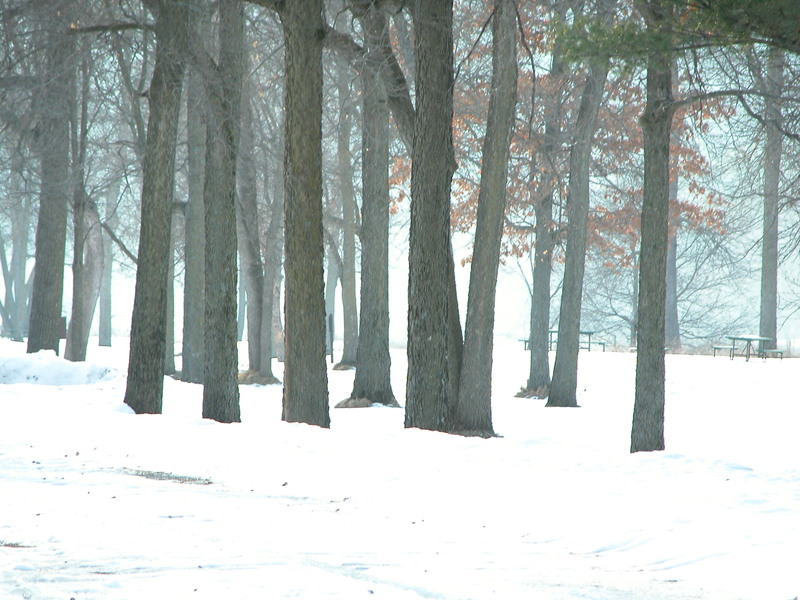 Hygge in the St. Croix Valley will change the way you think about winter. The article "Hygge in the St. Croix Valley" was produced by Linda Shober Marketing + Design and written by Karen Lawrence. Linda Shober Marketing and Design is located in the St. Croix Valley and specializes in providing content, strategy, management, design, and creative for digital and traditional marketing projects.